Why go? If you imagine the south coast of England outside Brighton is somewhere people go to walk up and down the seafront with a zimmer frame, think again. 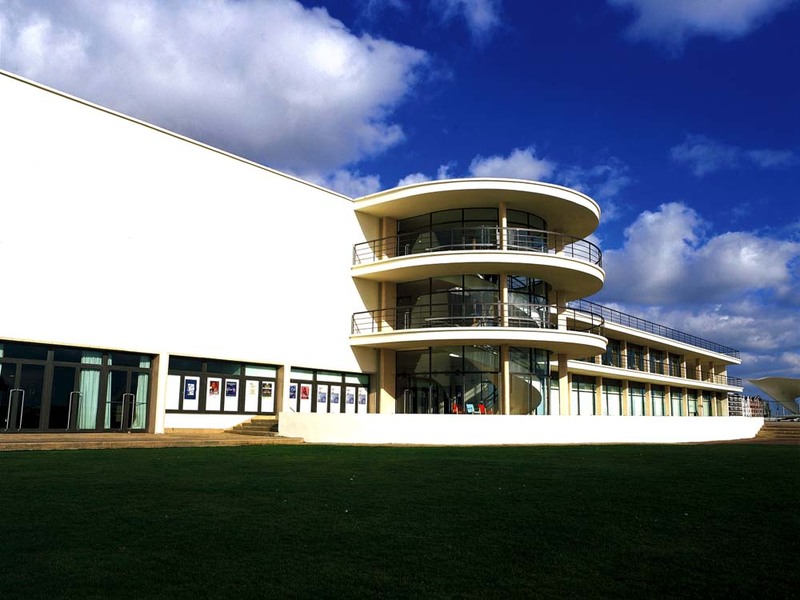 The Sussex shores have been steadily transforming into a cultural hotspot and there’s now a 20 mile ‘Coastal Cultural Trail’ linking the seaside towns of Eastbourne, Bexhill and Hastings, which all boast impressive visual arts galleries. This coastline is host to an increasing number of artists and hipster-types, and the influx of creativity is tangible. Think of it as Dalston-on-Sea – on a three day trip with my young family, we certainly see enough well-tended beards in three days to rival East London. I’m not going to lie, there are still a fair few oldsters around – but the resulting effect is that these seaside towns are now being taken care of rather than going to seed. You really must… Our first stop on the Trail is Eastbourne’s Towner (free entry, townereastbourne.org.uk) – a strange name but a good place that comes as a surprise among the stuccoed streets behind the seafront. The first thrill is a 80-person lift, so large it holds a sofa and a coffee table, which delights our children and would be big enough for a party. 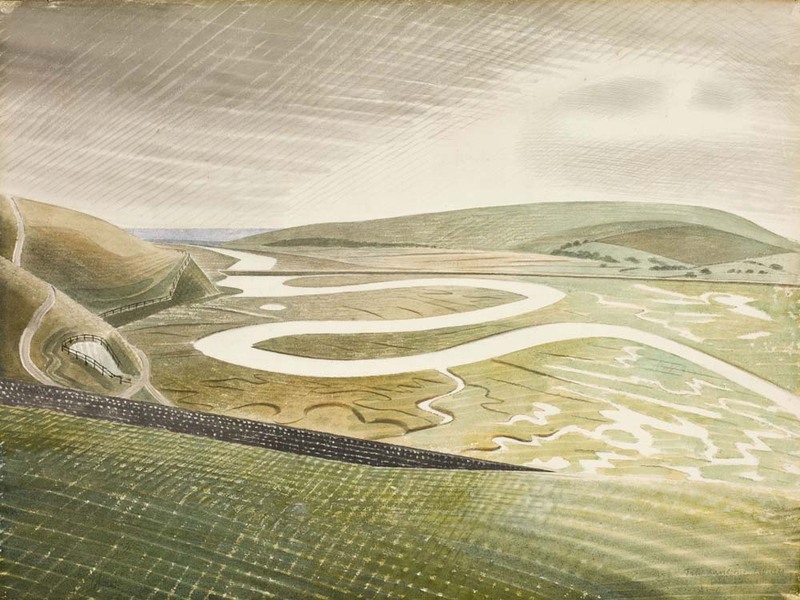 There are two levels of galleries with excellent exhibitions of painting, photography, sculpture and found objects – I was very taken with the ‘John Virtue: The Sea’ exhibition (until 15 April), along with a permanent collection of local artist Eric Ravilious. The centre also houses an internationally renowned collection of around 4,000 works which can be viewed by appointment. Crucially, it also has a great café and a shop selling work by local designers, from jewellery to bags, hand-printed paper and scarves. Half-an-hour’s drive eastwards along the coast, Bexhill’s De La Warr Pavilion (free entry, dlwp.com) is an arts centre set on the seafront of this sublimely suburban town, all bungalows and perfect lawns. The building looks out to sea, and the area feels clean, white and refreshed. The Pavilion is a 1935 jewel – inside the feel is of a mini-South Bank Centre. The recently opened exhibition ‘J.D ‘Okhai Ojeikere – Hairstyles and Headdresses’ (see lead image, until 19 April) has marvellous photographs celebrating the Nigerian talent for elaborate hair-dos, and visitors old and young will love ‘Ladybird By Design’ (until 10 May), devoted to the illustrations used in the Ladybird children’s books. The whole centre is bustling with all sorts of different types from grannified locals to the hipster invasion and offers an easy way to while away the best part of a day. Another short drive east, the Jerwood Gallery (admission £8, jerwoodgallery.org) in Hastings has been going for three years and is an art space as important as any in bigger metropolises. 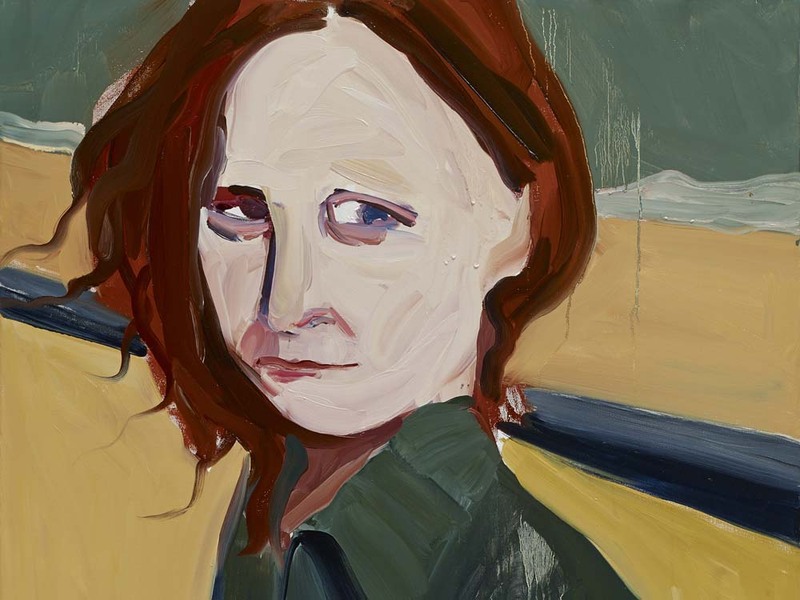 The current exhibition ‘Chantal Joffe Beside the Seaside’ (until 12 April) is full of rich portraits of women and children by an artist who spends much time in Hastings and St Leonards. 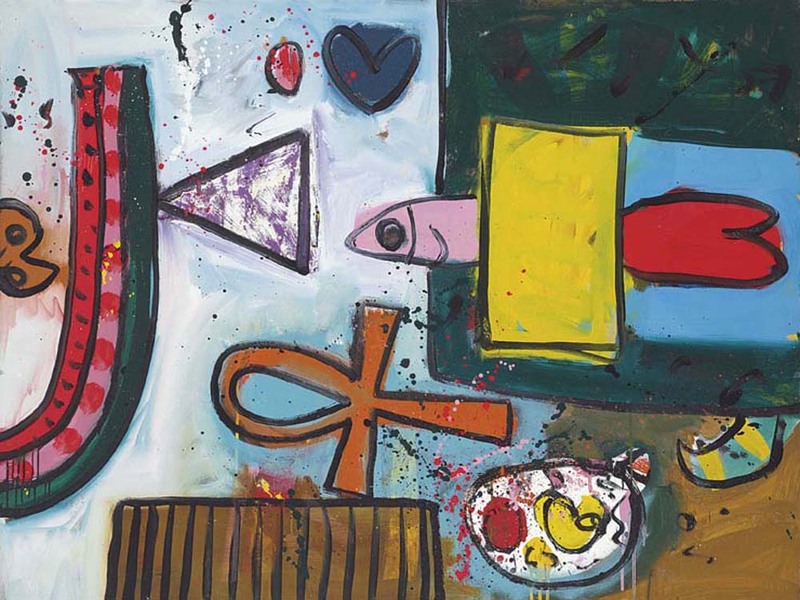 Upstairs hosts a fine collection of paintings from mid-20th century British arts including Walter Sickert, Dame Elizabeth Frinck, Augustus John, Sir Stanley Spencer and LS Lowrie, as well as contemporary works by artists including Rose Wylie and Maggi Hambling. Near the Jerwood, among the black fishermen’s huts on Hastings Old Town beach, are three delights. The Fishermen’s Museum (hastingsfish.co.uk) is my kind of museum, bursting with artifacts you long to reach out and touch, from cannon balls, pictures of fishermen from days past and information about today, a treasure chest – and, in the centre, a real boat. Informal and genuine, it proves a real delight both for us and the children. The Shipwreck Museum (shipwreckmuseum.co.uk) next door is equally fascinating giving the context of wrecks in the form of maps, films and artifacts including a prehistoric stone anchor, a piece of old London Bridge and a Roman canoe. Finally, at the brilliant Blue Reef Aquarium (bluereefaquarium.co.uk/hastings) look out for feeding time, particularly of the 2ft lobster fed through a piece of drain pipe (that’s to stop the other fish in his tank from stealing his lunch!). Super-friendly and knowledgeable staff give great demos and are a fount of knowledge. When it’s time to stretch the legs, the Seven Sisters Country Park (sevensisters.org.uk) near Seaford is well worth a visit for the beauty of the seven chalk hills that sheer off the edge of the South Downs and drop spectacularly into the English Channel. Take a walk along the River Cuckmere down to the beach at the base of Beachy Head. Stay at: We base ourselves in Eastbourne, at the extremely comfortable and friendly The Guesthouse East (from £79 room only, theguesthouseeast.co.uk), a grand white stuccoed Grade II-listed villa just off the promenade with views of the sea. The vibe is relaxed and welcoming and the eight rooms stylish and spacious – we had five of us in ours and not only survived but had a fine old time! Crucially, while breakfast is on offer, from £6 for continental or £9.50 cooked (and it’s rather fabulous – great porridge, perfect Full English and smoked salmon with scrambled eggs among other choices), the rooms all have kitchens so you’ve got the choice to self-cater. This is a great idea particularly on days when you’ve overloaded on fry-ups or on nights when you just want to collapse in your room. Hosts Carl and Sarah strike a perfect balance between being there when you need them and not overdoing it, and the place is child-friendly though not overrun with the little dears (well, apart from our room, where we had three, though that’s my fault to be fair). We are lucky and the sun is shining so what better to do in the early morning than run down to the sea for an (admittedly freezing) swim before breakfast? If you’re lucky, Carl might lend you his canoe. Dine at: On the Coastal Cultural Trail, Urban Ground (urbanground.co.uk) at the Towner is a large, light-filled modern café serving classic cakes, pastries and coffee as well as light meals such as pastrami flatbreads and toasties. The restaurant at De La Warr Pavilion (dlwp.com/eat-and-drink) is a joy – great vegetarian choices (butternut squash with focaccia and baba ganoush, wild mushroom risotto) plus divine haddock fishcakes with poached egg, slow roasted belly of pork as well as jacket potatoes and sandwiches. Webbe’s restaurant at the Jerwood Gallery (webbesrestaurants.co.uk) is a fine place to while away a lunchtime – and, if the sun comes out and you’re lucky enough to nab a table on the balcony, enjoy a wonderful view of the sea, the pebbly beach and black fishermen’s huts. The menu features local fish and seafood – a fabulous frito misto, a seafood plate to die for, fish and chips (of course) – plus a wide selection of classics (wild boar sausages anyone?) and delights such as crab sandwiches. Beyond these, Meze (meze-restaurant.com) in Eastbourne serves classic Turkish cuisine in a kilim-lined restaurant. It’s in downtown (well, as downtown as it gets round there) which is awash with decent-looking ethnic restaurants. Bills of Eastbourne (bills-website.co.uk) is part of the well-loved chain with a sister restaurant in Brighton and probably the trendiest thing to hit Eastbourne since… well, ever. The shabby chic interior, all cool tins, chandeliers and floorboards is an inspiration for interiors-lovers as well as foodies. Breakfast goes on until midday with all the classic bases beautifully covered. Lunch and dinner range from burgers (beef as well as halloumi) to duck pie, fish finger sandwiches, steaks – if you can’t find something you like on this menu you’ve got something wrong. The Tiger Inn (beachyhead.org.uk) is the ultimate country pub, situated on the village green of East Dean, a location so quintessentially English it comes as no surprise to see a plaque on the wall of one cottage stating that Sherlock Holmes (yes, a fictional character) retired here. Great grub – check. Tables outside with great view – check. Black beams and low ceilings inside – check. We’re sold. Bring home: Sticks of rock and saucy postcards, of course! This is the good old British seaside. All the museum shops are fab and Hastings Old Town is bursting with interesting stores from interiors to art supplies. Info: See coastalculturetrail.com for more information. 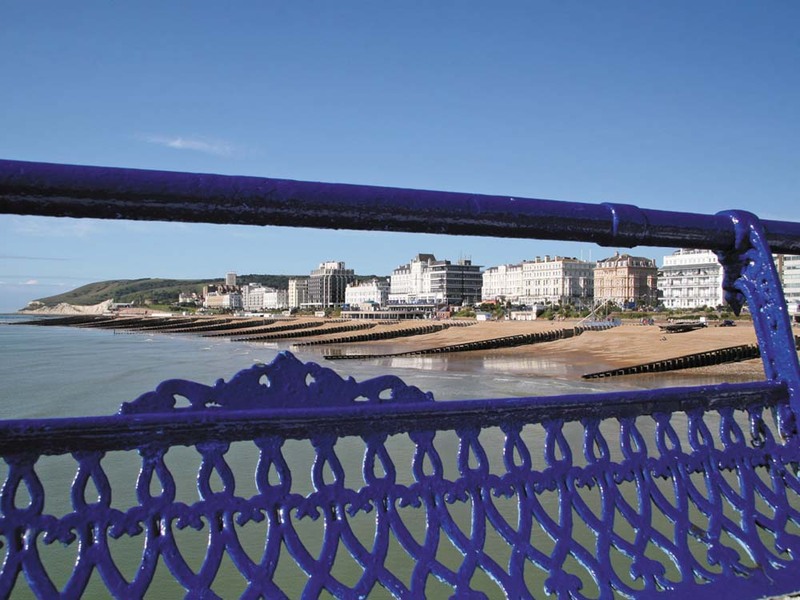 There are railway stations in all three towns (southernrailway.com), or hire a bike in Eastbourne (letsbike-eastbourne.co.uk) or Hastings (bellsbicycles.co.uk). Slow Sussex and the South Downs (£14.99; Bradt) is full of local Sussex colour and gives suggestions for walks, pubs and quirky activities to try. Useful websites include visiteastbourne.com, discoverbexhill.com and visit1066country.com.